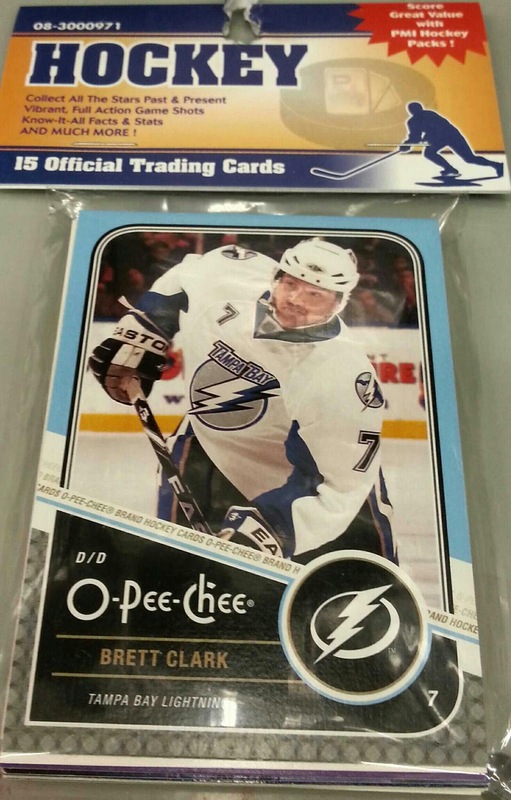 For some reason I had the urge the other night to collect obscure NHL player trading cards, bought cheaply at Dollarama. The idea would be to buy these packs - which presumably are leftovers, misprints, etc that the trading card company deigned not to include in the "real" packs - and sort through, collecting players who are virtually unknown to the common fan. There would be bonus cards as well for players in the wrong uniform for the current season (see: Rick Nash in a Columbus jersey - or Radek Bonk). To be honest, I have no idea why this urge washed over me. I know when it came: I saw a package of extra hockey card inserts at Wal-Mart. Naturally my first thought was, "gee, I would love to collect hockey cards nobody wants!" In hindsight it's completely silly. I know this. But even now I still kind of want to do it. What would I do with these cards? I feel like I would most likely start a blog and post about these obscure players in a "where are they now" vein. This is intriguing me even more, now. It's grown from a completely ironic idea to a legitimate idea. Obviously this means someone has already done this, no doubt. Don't expect to see anything from me too quickly. Don't try to talk yourself out of it ;) That sounds like a fun idea! I have to think about it more. So far I haven't seen any cards worth picking up in Dollarama lately.